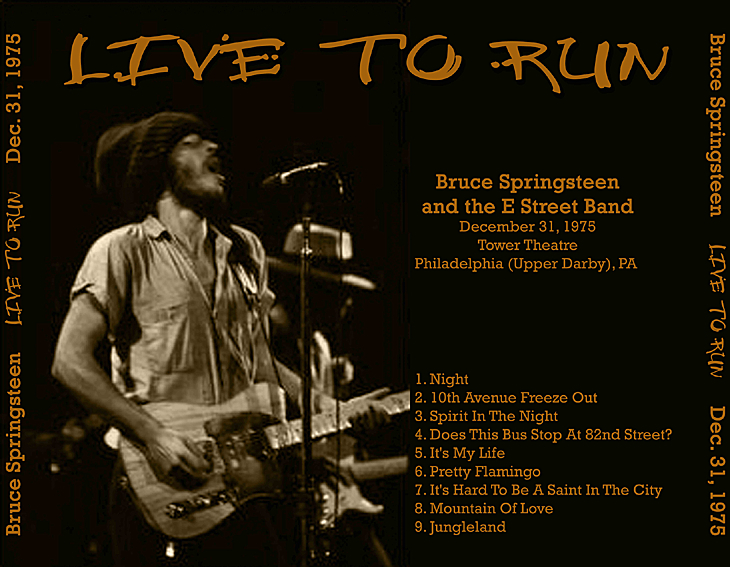 Live at the Tower Theatre, Philadelphia, December 31, 1975. 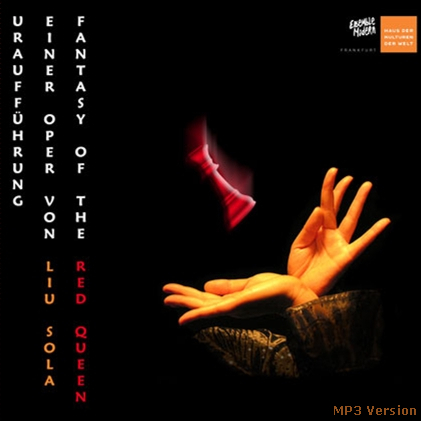 Thanks to larry1 for sharing the lossless tracks (multi-track mixed down to stereo) on the internet. 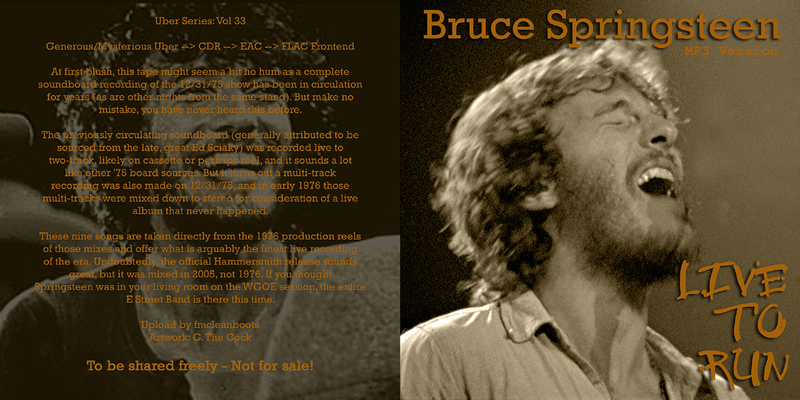 "At first blush, this tape might seem a bit ho hum as a complete soundboard recording of the 12/31/75 show has been in circulation for years (as are other nights from the same stand). But make no mistake, you have never heard this before. "The previously circulating soundboard (generally attributed to be sourced from the late, great Ed Sciaky) was recorded live to two-track, likely on cassette or perhaps reel, and it sounds a lot like other '75 board sources. 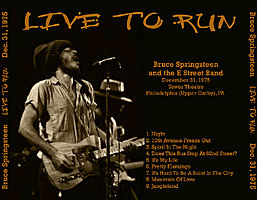 But it turns out a multi-track recording was also made on 12/31/75, and in early 1976 those multi-tracks were mixed down to stereo for consideration of a live album that never happened. "These nine songs are taken directly from the 1976 production reels of those mixes and offer what is arguably the finest live recording of the era. Undoubtedly, the official Hammersmith release sounds great, but it was mixed in 2005, not 1976. If you thought Springsteen was in your living room on the WGOE session, the entire E Street Band is there this time." 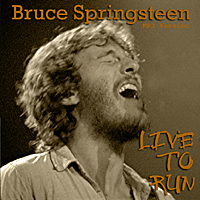 Click on the link to buy Bruce Springsteen albums.